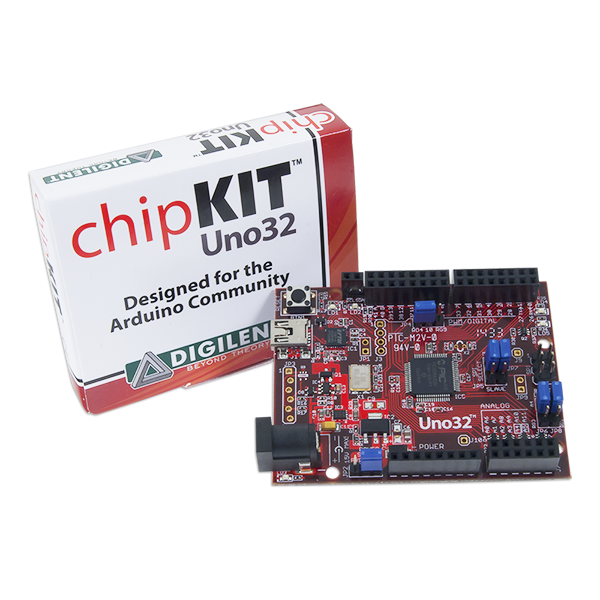 The Uno32 is based on the popular Arduino™ open-source hardware prototyping platform and adds the performance of the Microchip PIC32 microcontroller. The Uno32 is the same form factor as the Arduino Uno board and is compatible with Arduino shields. It features a USB serial port interface for connection to the IDE and can be powered via USB or an external power supply. 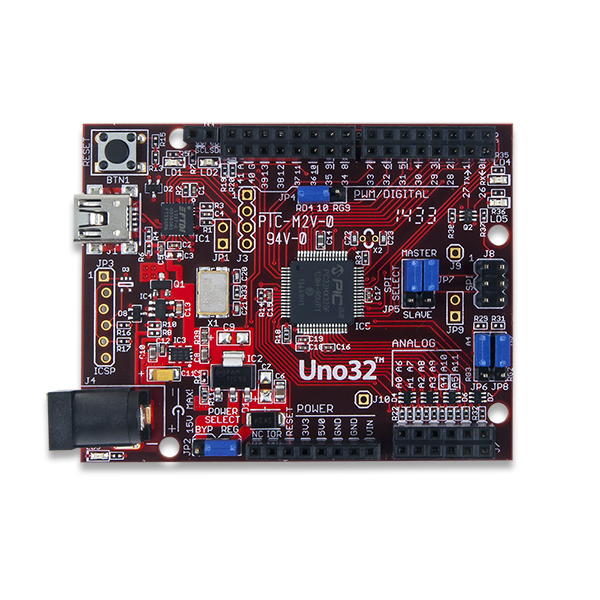 The Uno32 board takes advantage of the powerful PIC32MX320F128 microcontroller. 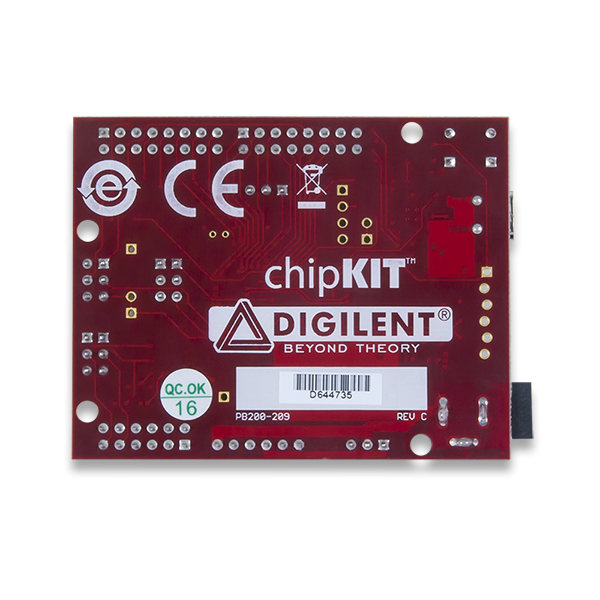 This microcontroller features a 32-bit MIPS processor core running at 80Mhz, 128K of flash program memory and 16K of SRAM data memory. The Uno32 can be programmed using the Multi-Platform Integrated Development Environment (MPIDE), an environment based on the original Arduino IDE modified to support PIC32. It contains everything needed to start developing embedded applications. 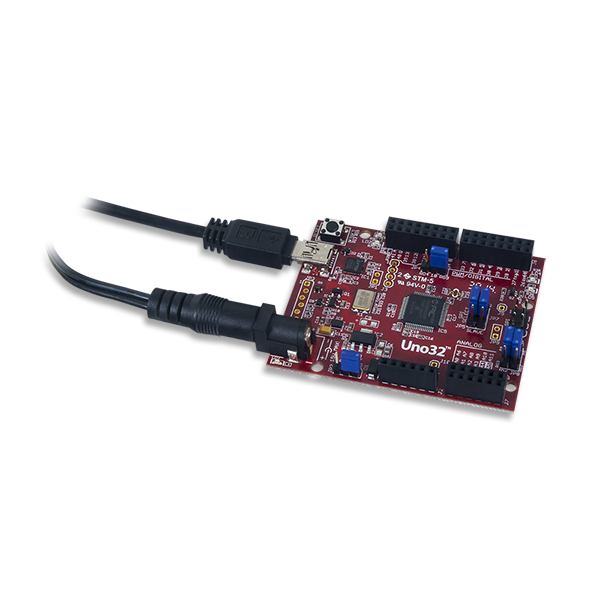 In addition, the Uno32 is fully compatible with the advanced Microchip MPLAB® IDE and the PICKit3 in-system programmer/debugger. 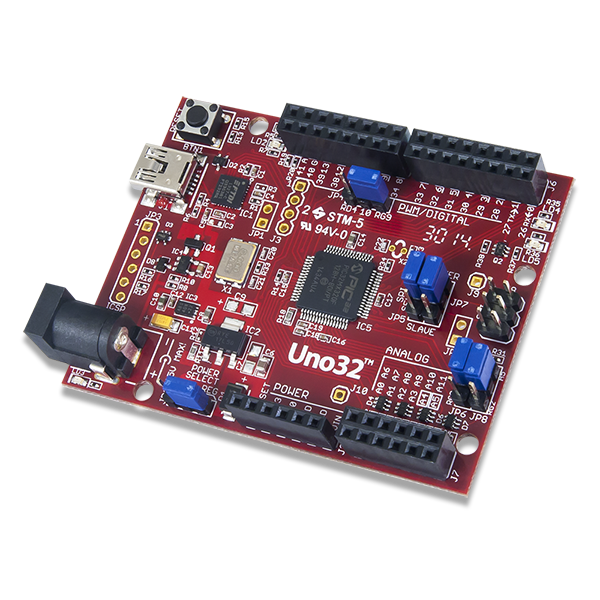 The Uno32 is easy to use and suitable for both beginners and advanced users experimenting with electronics and embedded control systems. The Uno32 provides 42 I/O pins that support a number of peripheral functions, such as UART, SPI, and I2C ports and pulse width modulated outputs. Twelve of the I/O pins can be used as analog inputs or as digital inputs and outputs.